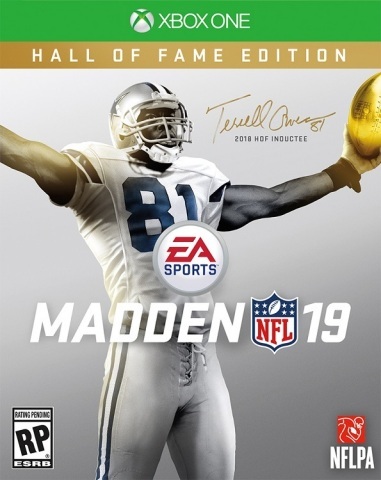 "We’ve worked directly with community members on Madden NFL 19 to make a deeper, more immersive football game that gives players what they want - more choice, more control, and key enhancements to fan-favorite modes"
REDWOOD CITY, Calif.--(BUSINESS WIRE)--Today Electronic Arts Inc. (NASDAQ:EA) announced EA SPORTS Madden NFL 19, set to deliver more game-changing control to players than ever before. With Real Player Motion Technology, a new animation system that unlocks next level responsiveness and player personality, players will experience more precision as they run, cut, catch and celebrate on the gridiron this season. Along with more authentic ways to build an NFL roster, the ability to train and develop players, achieving NFL greatness never felt so personal. 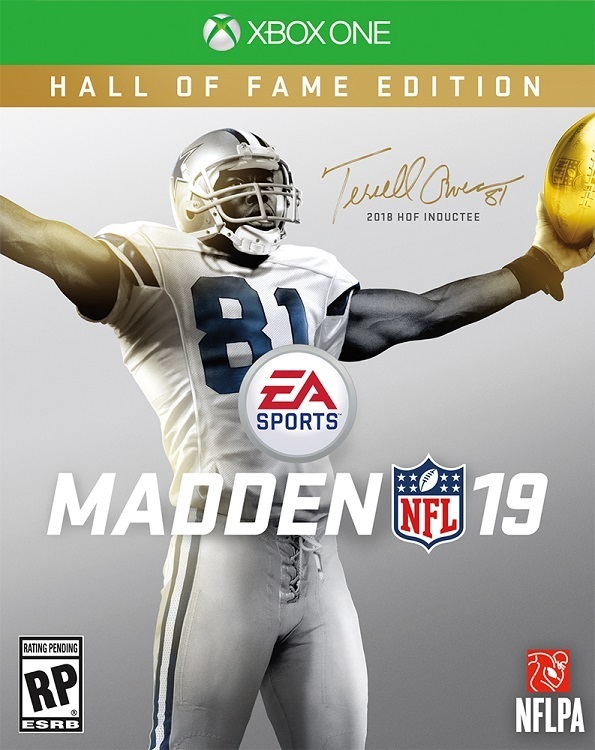 EA celebrates this year’s release three days earlier on August 7th with the Hall of Fame Edition, featuring six-time Pro Bowl player and 2018 Pro Football Hall of Fame Inductee, wide receiver, Terrell Owens on the cover. Fans can anticipate a second cover athlete for the Standard Edition to be released on August 10th. Experience all the tackles, touchdowns, and turnovers in EA SPORTS Madden NFL 19 on Xbox One and PlayStation 4, on August 10th. In Madden NFL 19 Franchise Mode, players can choose the offensive and defensive schemes that best fit their playstyle as they compete in single player and/or multiplayer seasons. Schemes are also linked to a new intuitive progression system - based on authentic positional archetypes - that give virtual coaches the tools and the big decision to either win now or build their squad for the future. NFL fans will also have a top community-requested feature with the introduction of Custom Draft Class Creator where fans can create their own draft classes featuring players from the past and present for use in Franchise. 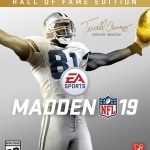 Madden NFL 19 is developed in Orlando, Florida by EA Tiburon and will be available worldwide on August 10th for Xbox One and PlayStation®4. For more information on EA SPORTS Madden NFL visit www.easports.com/Madden-NFL. Join the EA SPORTS Madden NFL conversation on Twitter and Facebook. The EA SPORTS™ brand is one of the leading sports entertainment brands in the world, with top-selling videogame franchises, award-winning interactive technology, fan programs and cross-platform digital experiences. The EA SPORTS studios create connected experiences that ignite the emotion of sports through video games, including Madden NFL football, EA SPORTS™ FIFA, NHL® hockey, NBA LIVE basketball, Rory McIlroy PGA TOUR® golf, SSX™ and EA SPORTS UFC®.